My birthday sneaks up on me every year. Is it because it’s summer and the days fly by? Perhaps because it’s the second day of the month and it sneaks up on everyone? Maybe it’s because my birthday is days before the Fourth of July? My mom called me last week to inform me not to open the package she sent…”until the 1st of July”. “Mom, my birthday is the second of July. Is that what you meant?” I asked. It’s alright, ma. I realize your brother’s birthday is the 1st. Mine is the 2nd. It all blends together, especially with a holiday on the fourth. 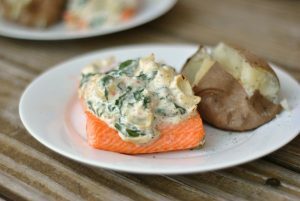 When I made this week’s menu, I forgot the 4th of July was upon us. And my birthday. Apparently, both events snuck up on me, too. Not that that changes much. I made these burgers for my friend Kelly and her mom and sister last week. They were a huge hit. 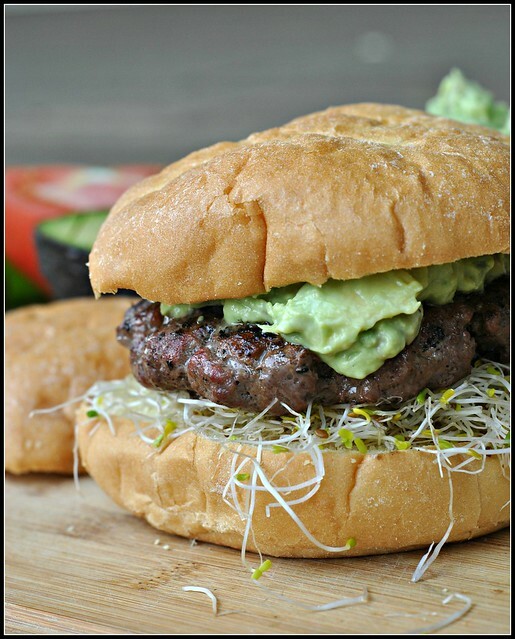 The guacamole was fantastic and I loved the simplicity of the burger + guacamole + sprouts. 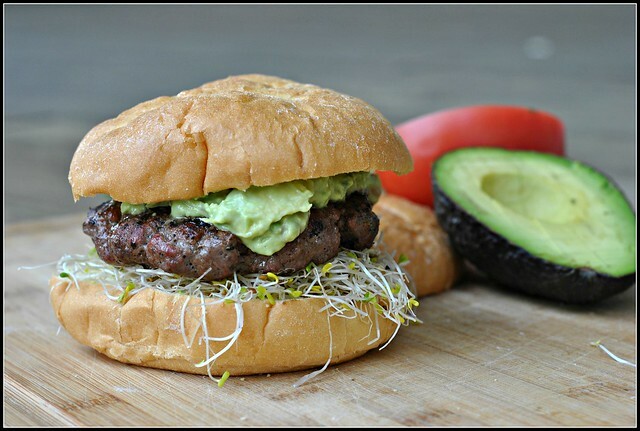 It was the perfect, simple burger and so very southern California, as the recipe title suggests. These would be perfect for those celebrating the 4th by way of cookout, or simply bookmark these for later. You won’t regret it! Bring on the summer grilling! 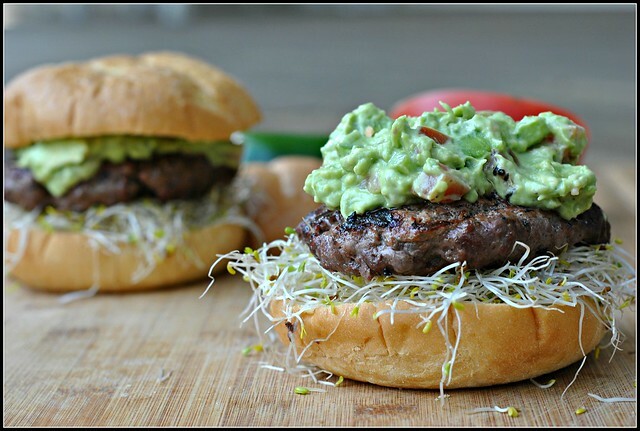 This guacamole-smothered burger is a summer hit! 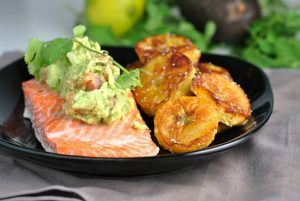 Place half of avocado in a bowl and mash with a fork until almost smooth. Add yogurt and next 3 ingredients to bowl; stir to combine. Dice remaining half of avocado. Add diced avocado, tomato, jalapeño, and ⅛ teaspoon salt to bowl; stir gently to combine. Season beef with remaining ⅜ teaspoon salt and pepper; mix well. Divide beef into 4 equal portions. Gently shape each portion into a (1/2-inch-thick) patty. Grill 3 minutes on each side or until desired degree of doneness. 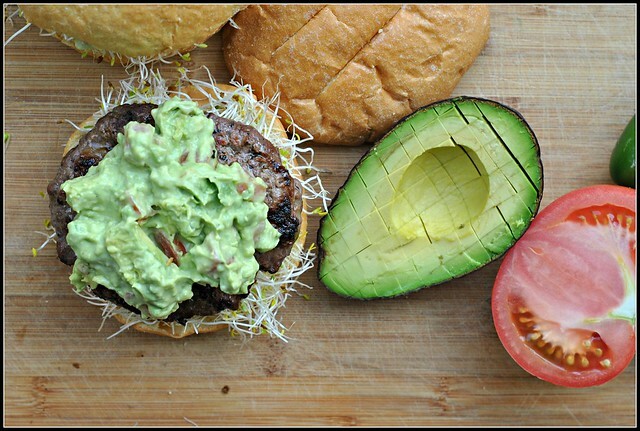 Place ¼ cup sprouts on bottom half of each bun; top each with 1 patty, about 3 tablespoons guacamole, and top half of bun. Strawberry picking and beach today! 🙂 I love Michigan in the summertime! Have a wonderful birthday! I am headed to my Aunt’s lake house today in Virginia and the internet is spotty at best – I am actually looking forward to unplugging this week! Have a great 4th too! Birthday twins! It always sneaks up on me too. Hope yours is a good one! My guy’s birthday is the 1st of July! But we’re celebrating it a day later because of an annoyingly long meeting his boss scheduled last night. So we’ll be thinking of you at dinner and wishing you a happy birthday too! !